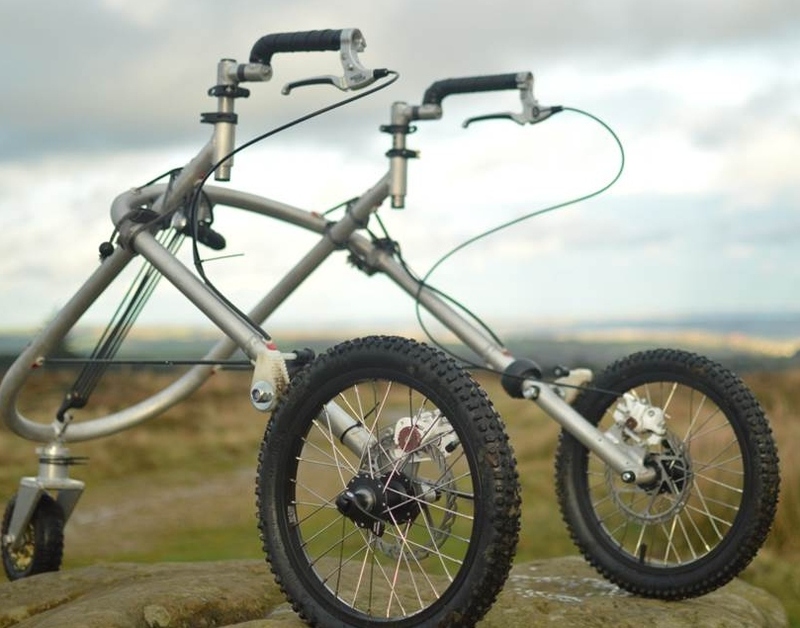 Exyo is a Sheffield-based company founded by three University of Sheffield graduates to commercialise an outdoor walking aid for children with cerebral palsy. What sets Exyoʼs idea apart from more conventional products is their determination to create something attractive and fun to use. To take their project to the next stage, they would need access to the kind of resources that can seem out of reach for a small company – even one with a brilliant idea. We put Exyo in touch with Dr Ben Heller of Sheffield Hallam University’s Centre for Sports Engineering Research (CSER) and Nick Dulake, a senior industrial designer from Hallam’s Design Futures agency. An expert in medical engineering, Ben has worked with public and private sector partners including Adidas and the Department of Health. Nick has years of experience working with SMEs like Exyo and multinationals such as Unilever. Benʼs expertise in monitoring physical activity, combined with Nickʼs understanding of design, opened up the project, enhancing the focus on usersʼ needs. With this support, Exyo were able to explore new concepts in the field and improve their design. Consultation with clinicians from the Ryegate Centre, Sheffield Childrenʼs Hospital, helped refine the scope of the project. Working with potential users, the team designed and built two prototypes, demonstrating feasibility and advising on manufacture. Exyo are now in a much stronger position to continue developing their product. Through the Sheffield Innovation Programme, they were able to access all the support they needed in one place. As well as saving them time and money, the partnership helped Exyo reduce the risk associated with expanding their business. We’re still finding our feet as a start-up, trying out what works and what doesn’t, and our project has changed as a result of this work. It has helped us refine our direction.